Left to right: Wesley Merritt, David McM.Gregg, Sheridan, Henry E. Davies (standing), James H. Wilson, and Alfred Torbert. 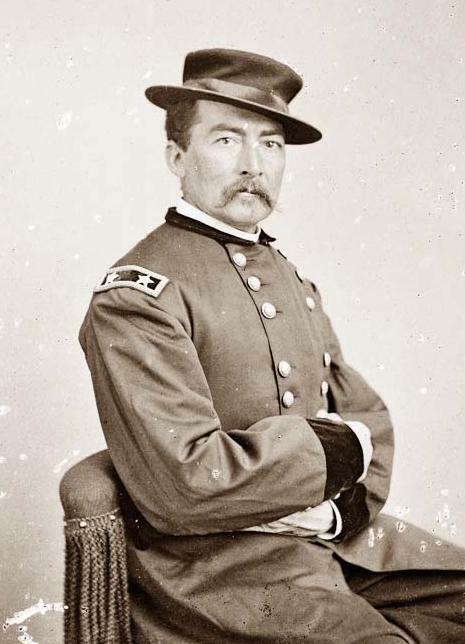 While on his meteoric rise in the Union army, Philip H. Sheridan earned the enmity of many Virginians for laying waste to the Shenandoah Valley. His date and place of birth is uncertain, but he himself claimed to have been born in New York in 1831. 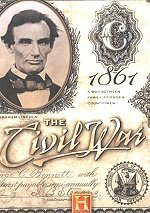 Although he was destined to come out of the Civil War with the third greatest reputation among the victors, his military career had not begun auspiciously. 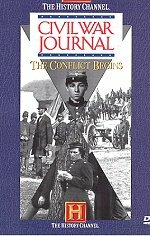 It took him five years to graduate from West Point (1853) because of an altercation with fellow cadet and future Union general, William R. Terrill. 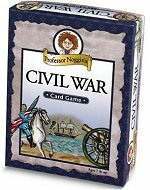 Posted to the infantry, he was still a second lieutenant at the outbreak of the Civil War. His assignments included: second lieutenant, 4th Infantry (since November 22, 1854); first lieutenant, 4th Infantry (March 1, 1861); captain, 13th Infantry (May 14, 1861); chief quartermaster and chief commissary of Subsistence, Army of Southwest Missouri, Department of the Missouri (ca. December 25, 1861-early 1862); colonel, 2nd Michigan Cavalry (May 25, 1862); commanding 2nd Brigade, Cavalry Division, Army of the Mississippi (June 1-September 4, 1862); brigadier general, USV (July 1, 1862); commanding 11th Division, Army of the Ohio (September-September 29, 1862); commanding 11th Division, 3rd Corps, Army of the Ohio (September 29-November 5, 1862); commanding 3rd Division, Right Wing, 14th Corps, Army of the Cumberland (November 5, 1862-January 9, 1863); major general, USV (December 31, 1862); commanding 3rd Division, 20th Corps, Army of the Cumberland (January 9-October 9, 1863); commanding 2nd Division, 4th Corps, Army of the Cumberland (October 10, 1863-February 17, 1864 and February 27-April 1864); commanding Cavalry Corps, Army of the Potomac (April 4-August 2, 1864); commanding Army of the Shenandoah (August 6-October 16, 1864 and October 19, 1864-February 28, 1865); also commanding Middle Military Division (August 6, 1864-February 27, 1865); brigadier general, USA (September 20, 1864); major general, USA (November 8, 1864); and commanding Sheridan's Cavalry Command (March-April 1865). After serving in a staff position during the early part of the war he was recommended for the command of a cavalry regiment by Gordon Granger. 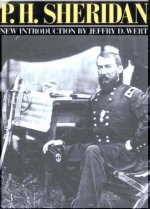 Within days of taking command he was in charge of the brigade with which he earned his first star at Booneville in northern Mississippi. In the late summer of 1862 he was given a division in Kentucky and middle Tennessee. He fought well at Perryville and Murfreesboro and was given a second star in the volunteers to date from the latter. At Chickamauga his division, along with almost two-thirds of the army, was swept from the field. 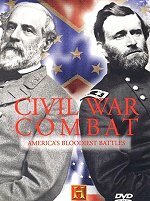 However, at Chattanooga he regained his somewhat tarnished reputation when his division broke through the Rebel lines atop Missionary Ridge. There was some question of who, if anyone, had ordered the troops all the way up to the crest. His division made a limited pursuit. When Grant went to the East, he placed Sheridan in command of the Army of the Potomac's mounted arm. Against J.E.B Stuart's depleted horsemen Sheridan met with mixed success in the Overland Campaign but did manage to mortally wound the Confederate cavalryman at Yellow Tavern. His purposes were thwarted at Haws' Shop and Trevilian Station. His Irish temperament brought him into conflict with Generals Meade and Warren and Duffie and Stevenson. 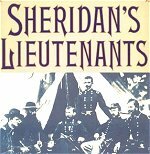 Following Early's threat to Washington, Grant tapped Sheridan to command a new military division, comprised of three departments, and charged him with clearing out the Shenandoah Valley. Despite being plagued by irregulars along his supply lines, he managed to worst Early at 3rd Winchester, Fisher's Hill, and Cedar Creek. At the outbreak of the latter battle he was returning from a meeting with Grant and rode at a gallop from Winchester to the scene of the early morning reverse. Reforming his men, he drove the enemy-who had lost all sense of order while plundering the camps-from the field, taking many prisoners. 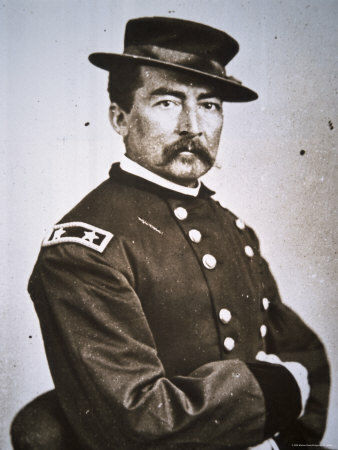 For this campaign he was named brigadier and major general in the regular army, vacating his volunteer commission, and received the Thanks of Congress. 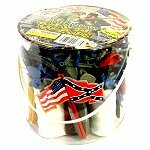 He also burned his way through the Valley, preventing future Confederate use of its grain and other stores. The next March he destroyed Early's remaining forces at Waynesboro and then went on a raid, threatening Lynchburg. Rejoining Grant, he smashed through the Confederate lines at Five Forks, necessitating the evacuation of both Petersburg and Richmond. During the action he unfairly removed Warren for slowness. 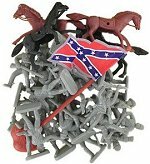 It was his cavalry command, backed by infantry, which finally blocked Lee's escape at Appomattox. His role in the final campaign even eclipsed that of army commander Meade. After a postwar show of force against Maximilian in Mexico, he headed the Reconstruction government of Texas and Louisiana. His severity forced his removal within half a year. Remaining in the regular army, he died as a full general in 1888, having been the commander-in-chief since 1884. 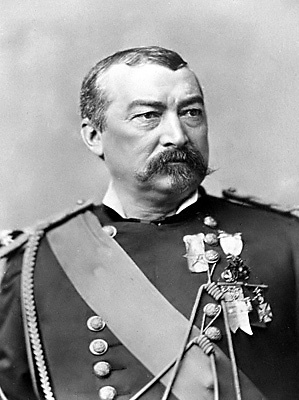 In the meantime he had commanded the Division of the Missouri, observed the Franco-Prussian War, and worked for the creation of Yellowstone National Park and its preservation. 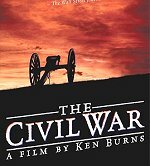 By the use of troops to protect the park he may have been trying to salve his conscience for the destruction in the Shenandoah. 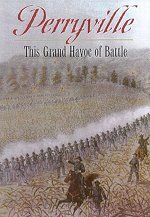 After the ferocious fighting at Cold Harbor Grant ordered his cavalry to distract the Confederate forces. 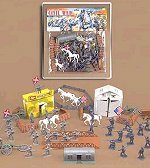 Tthe battle that resulted when Confederate cavalry pursued and caught their Federal foes at Trevilian Station, Virginia, perhaps the only truly decisive cavalry battle of the American Civil War.